A classical ballet recital in June by students of the Pennsylvania School of Classical Ballet, performing unusual, rarely performed pieces from the classical ballet repertoire, will benefit Francisvale. 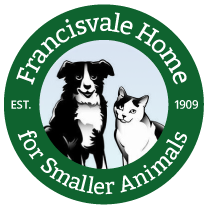 The performance, on Saturday, June 8, at 2 pm, will be held at Radnor Middle School, 135 S. Wayne Ave. Half of the proceeds from tickets sales for the event will be donated to Francisvale. Please come; you can support animal welfare and the arts. And the performance – lasting about an hour – is a great way to introduce children to the art of classical ballet. Tickets will be available at the door, general admission, cash only, $20. To learn more about the Pennsylvania School of Classical Ballet, located in Wayne, and the June 8 recital, please click here. This entry was posted on Wednesday, May 22nd, 2013 at 9:00 am	and is filed under News.